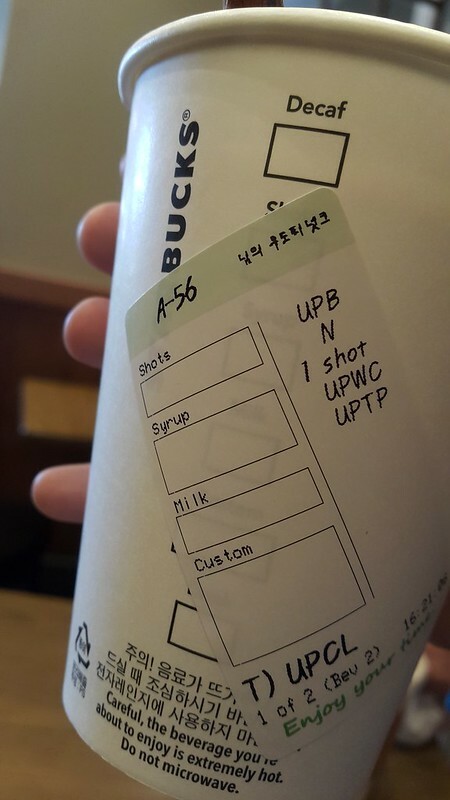 Have you heard of the Jeju starbucks specialty drinks or their secret menu?
! If you are not yet a fan, then once you try this, I’m pretty much sure that you’ll become one! 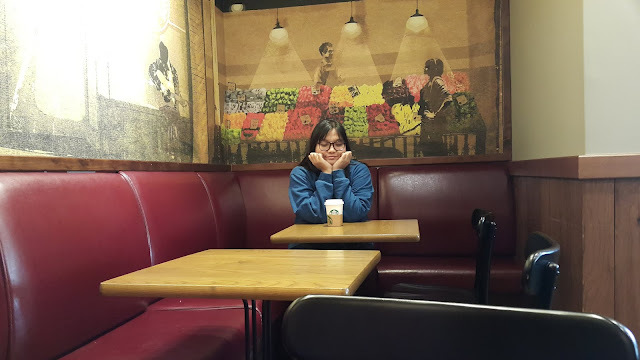 The Seongsan Ilchulbong branch of Starbucks is a tourist spot amongst youngsters and oldies, both local and foreigners. They’ve got lots of seats so, despite the congestion, there’s a sure seat for you! I also love the backdrops and interiors!! This is the 2nd floor of the Starbucks I visited and there's enough space for everyone. We've been surrounded by groups of friends and couples that are awkwardly doing PDA. Haha! 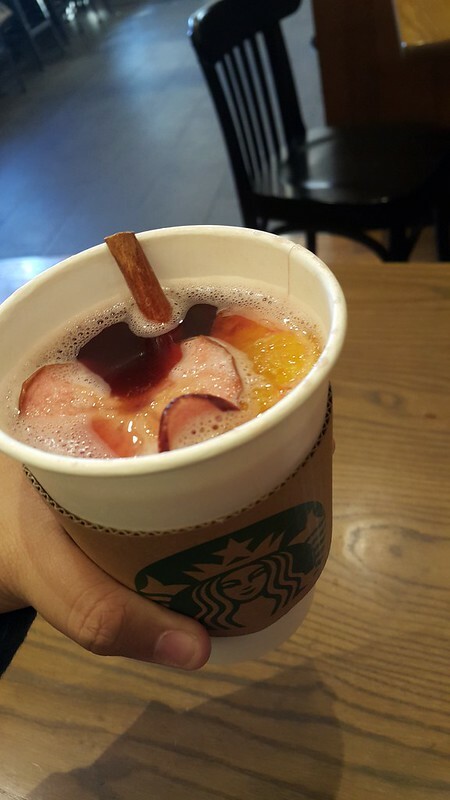 Famous for its homegrown tangerines, Jeju Omija Tangerine Tea is exclusive only for Starbucks in Jeju Island! If you are not that much familiar with what Omija is, you might find this drink a little too sweet or sour for you. Omija is a five-flavored berry and you might seriously think that it's a little bit tangy at times. As for me, I had a hard time with the first few sips because I’m not a fan of Cinnamon and this drink got a real Cinnamon stick and it’s strong! My friend got her Jeju Honey Peanut Latte, I wish I ordered the same with her but we both want to try and share each other’s drink so we decided to get a different one. The names and contents of the drink differ upon the season and the availability of locally grown products so it’s a sure thing that a specialty drink would be served on you once you visit! Don’t forget to give it a try!!! PLUS: I tried their macaroons and you’ll surely love it! 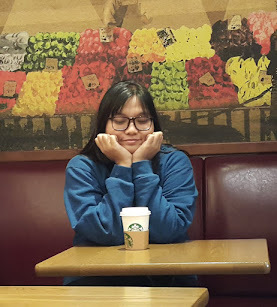 Here’s something I want to remind anyway, we all know how pricey Starbucks is so don’t be surprised if you’ll find it doubled the price of drinks outside or from the other stores. I spent 7,800 won for a tall sized drink (the smallest one) and the macaroons is at 2,000 won each. The usual price of a tall sized drink in Jeju is around 3,000 won to 4,000 won unless the coffee shop is famous like starbucks and tom n' toms.